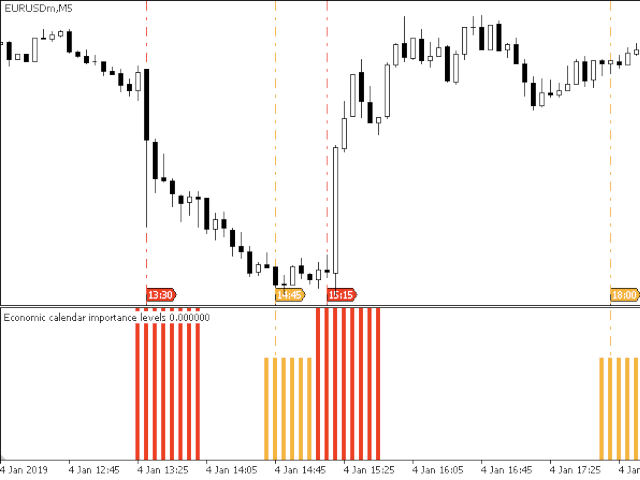 This indicator displays future and historical economic events (news) on chart for currencies. Data is taken from fxstreet.com. It allows you to trade on news or close/hedge your positions before news. 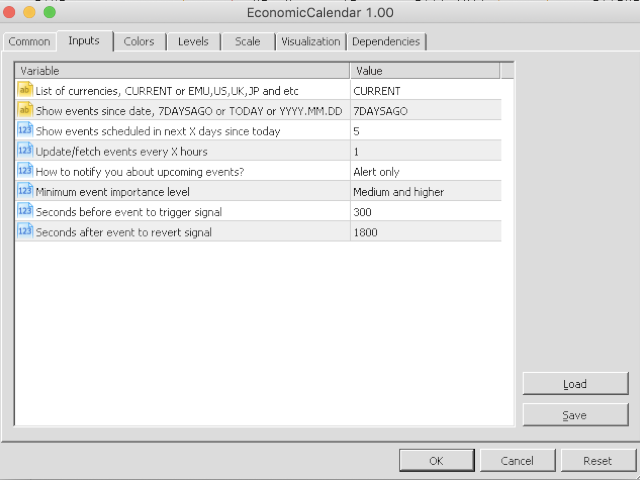 Download economic calendar data before using this indicator. Use free Economic news calendar loader for that. Missing something? Drop me a line, I can do it fast. Removing chart objects on indicator deinit.